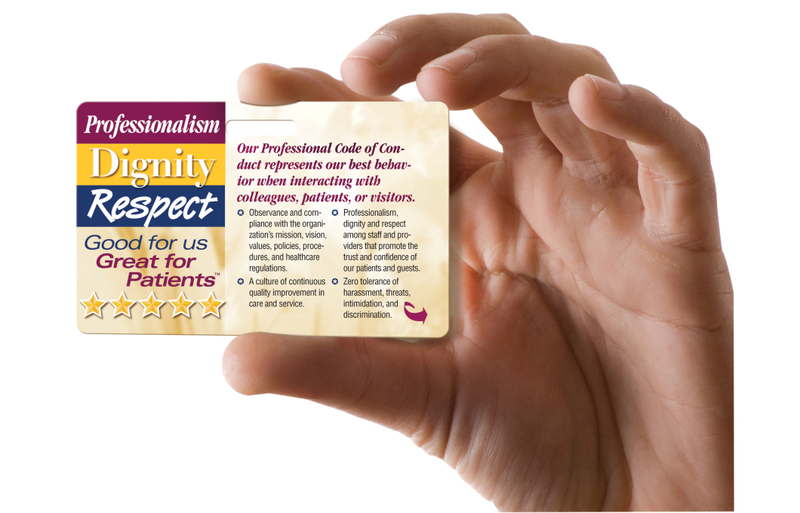 Badgie™ Cards showcase our “Professionalism, Dignity, and Respect” theme along with a list of professional behaviors. 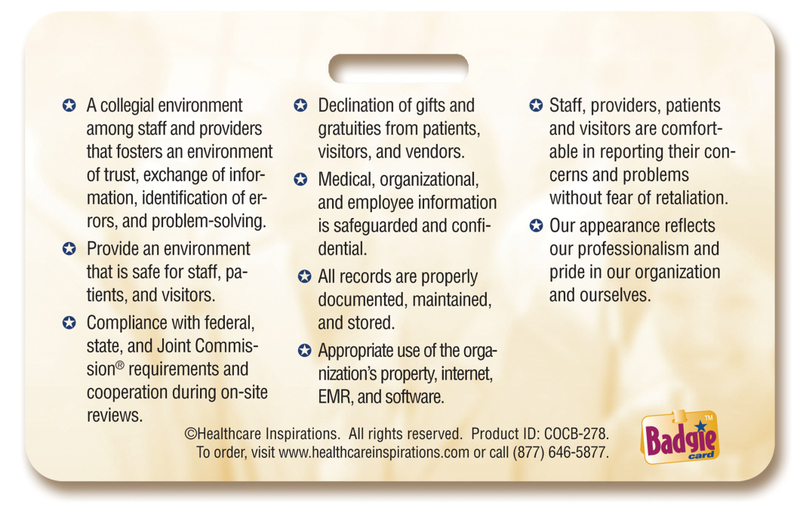 Badgie™ Cards attach directly to staff ID badges and lanyards, serving as a constant reference and learning tool. 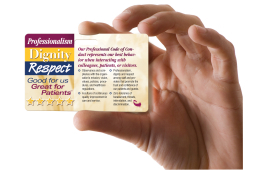 Cards are sturdy .20 mil glossy plastic printed in full color on 2 sides. These are not just printed pieces of paper with lamination. They are durable credit card quality cards. 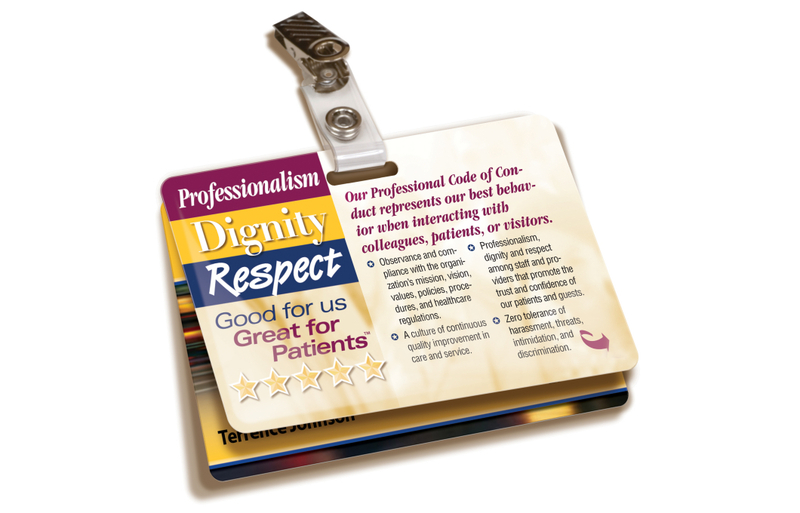 Easy way for staff to be reminded about the importance of the organization's Code of Conduct. Horizontal: 3-3/8" x 2-1/8"; Vertical: 2-1/8" x 3-3/8"
Full color process printing on 2 sides on .20 mil glossy plastic.